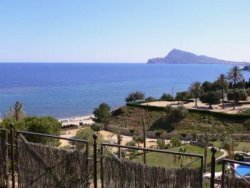 The Elm is situated adjacent to the beach about 3km from Altea and 7K from Calpe. The 5* complex hosts 260 apartments and bungalows know as "Villa Gadea". The apartments and bungalows are set in a semi-tropical environment. The complex has 10 swimming pools but the pool available for use is directly behind the apartment (the one you see from your balcony)this is a very relaxing place with reading, swimming and sun bathing a great pastime. 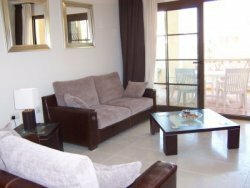 The apartments are luxurious with marble floors, underfloor heating, air conditioning, private hot jacuzzis and luxury kitchen. The apartment also boasts private underground parking and sleeps six comfortably! TV, DVD and music system is included with a Sky TV package including 20 digital channels from England, Norway and Sweden.